Digispark Pro Shields Now Available! We are happy to announce that all Digispark Pro Shields, Shield PCBs, Robots, and Bulk Packs are now available here on our web store. We have also added source files, schematics, and wiki links to all of the new product pages - just go to the product page and click the "Resources" tab. We'll have a new product coming out later this month - so watch for updates! Once again - we are pleased to announce that Digistump.com will be offering some amazing deals for Black Friday thru Cyber Monday - while we can't compete with the big stores, because we don't have 2-3x mark-up like they do, we hope these deals will help you buy engaging, educational, electronic gifts for your loved ones, or allow you to get yourself some kits to build while you hide from your relatives during the holiday season. When you shop at Digistump.com now through Monday (Dec 1st 2014) you can use ONE of the following coupon codes with your order. To enter a coupon code add items to your cart, then click on the cart, enter the coupon code into the "Coupon Code" box and hit the apply link next to it - your order should then reflect your discount. We cannot add codes after an order has been made. Digispark Pro! Sale! and more! We are very happy to announce our next project launch and a big brother to the Digispark - the Digispark Pro! We have listened to all the suggestions, complaints, and feedback about the Digispark and have tried to work as many improvements as possible into the Pro, while still keeping it very affordable and compatible with the existing Digispark shields! 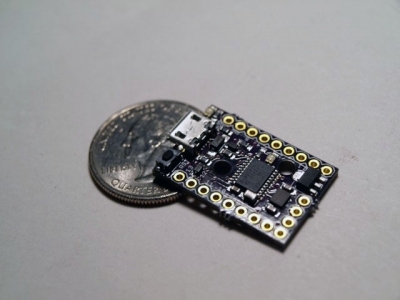 The Digispark Pro is now on Kickstarter: https://www.kickstarter.com/projects/digistump/digispark-pro-tiny-arduino-ready-mobile-and-usb-de Please check it out! USB Serial and Debugging - the Pro supports emulating a Serial USB Device - this means the Serial Monitor in the Arduino IDE can be used with it, and it can also be easily integrated using Serial communications with computers or mobile devices. It is also compatible with Firmata. New Products: DigiPixel Game Shield and Pieco Paste Press! We are pleased to introduce two new products! 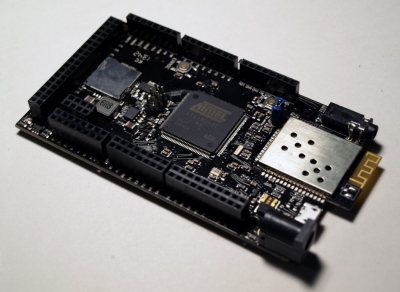 Fresh from its successful Kickstarter campaign - we are pleased to carry the DigiPixel - LED Game Shield! This shield, created by Digispark user Bradley Slattery, is awesome, loads of fun, and one of the first commercially available 3rd party shields - we just had to carry it! 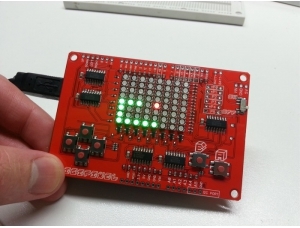 Use a Digispark or Arduino to make your own game, using the super easy to use and well documented DigiPixel library. These come fully assembled except for the headers. Get them while they last. 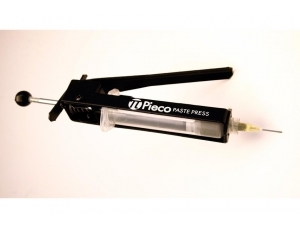 The Pieco Paste Press allows you to accurately dispense solderpaste or other high-viscosity liquids, pastes and gels easily and accurately. 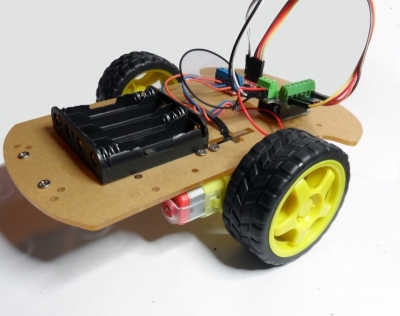 We use one here at Digistump for prototyping and love it! These work with 10cc syringes (most solderpaste comes in them) and any dispensing needles the fit the syringe. They come with one syringe, one wiper (to push the paste down the syringe), and one dispensing needle. That's it for today - stay tuned for the launch of the Digispark Pro in the next ten days (just waiting on Kickstarter approval)! DigiX available for retail sale! And what's next! The DigiX is now available for retail sale from Digistump and select distributors! Orders ship in 24-48 hours (generally 24 or less). Coming soon! The Digispark Pro! There is a sneak peak - more news to come. If you haven't yet sign up for our mailing list on the left side of this page! We expect it to launch in the next few weeks on Kickstarter.